The Composting Book is Here! Over the years I have received more questions about composting than any other subject. I cover the essentials of thermophilic composting in Mini Farming: Self-Sufficiency on 1/4 Acre, but even though that form of composting is generally considered ideal, it is also the most labor intensive and not everyone interested in sustainability and self-sufficiency has either the time or the physical ability to shovel (literally) tons of compost. The second most frequent questions I get pertain to soil fertility and soil management. Composting is intimately tied to these issues. So the solution for me was simple: write a very comprehensive book on composting, soil fertility and soil management from a sustainability/MiniFarming perspective. Because this book was written following years of both reader feedback and personal experimentation, I am really pleased with the results and I’m sure you will be pleased too! Everybody and his brother covers aerobic thermophilic composting, and so do I. After all, thermophilic composting is the only approved method for USDA certified Organic growing. But what is very rarely covered (if at all!) is anaerobic composting. I cover anaerobic and mesophilic composting thoroughly while also giving instructions on how to make your own anaerobic digester. Anaerobic and mesophilic composting are especially valuable if you have physical or time limitations. Because anaerobic composting can introduce safety issues, I very clearly spell out how to use anaerobic digesters and mesophilic compost safely. If you have ever tried to save your kitchen scraps for composting, you’ve quickly discovered your indoor compost bin becomes a noxious fly-attractant. For those who like to compost indoors (or would like to do so, if only it didn’t smell so badly! ), I have covered vermicomposting (composting inside using earth worms) and also an indoor rotating mesophilic aerobic composting bin and system. I’ve used both systems in my own home very successfully and I explain how to make them work for you. The past few years have seen a large number of major natural disasters in the United States. In any disaster where running water and electricity become unavailable, one of the most urgent needs is proper sanitation when toilets won’t flush. Anywhere in the world without proper sanitation systems sees large numbers of deaths from diarrhea arising from the uncontrolled spread of intestinal pathogens. 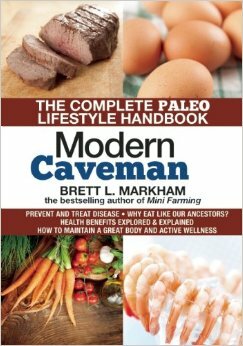 To make sure you know how to handle this, I dedicate a chapter to the proper handling and composting of human feces, showing both my own humanure toilet and humanure composting bin. Compost tea has become popular. 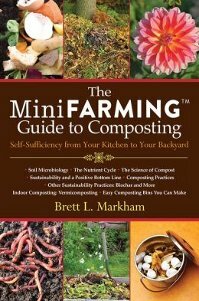 I cover the basics in Mini Farming: Self-Sufficiency on 1/4 Acre, but in this book, The MiniFarming Guide to Composting, I cover compost tea in depth. Not only do I demonstrate how to brew your own inexpensively, but I also cover the pros-and-cons of which compost is best to use for making compost tea and safety considerations in its use. Compost tea is not without controversy, but I demonstrate the difference in makes in soil bacteria populations with photographs I took through my microscope. Though this book is among the most comprehensive on composting, I don’t short-change soil fertility! Composting is obviously a cornerstone of self-sufficiency and sustainable farming methods, but in order to know how much compost to add to your garden, you have to know how to measure the current biological fertility of your soil. I give two methods of how to do that. I also cover soil amendments for both macro and micro nutrients extensively, including all of the formulas needed for making your own fertilizers. Though I explain biochar in one of my earlier books, in this book I not only explain it more extensively, I even show how to make your very own biochar reactor and explain how it works. 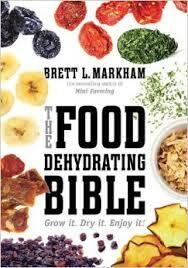 When I look back at this book and all that it contains, I am really amazed. I can’t believe both the depth and breadth of information I crammed into it while still keeping it readable. When you’re done with this book, you’ll be a composting Ninja! Do not, however, blame me if unenlightened people look askance at your vermicomposting bin or composting toilet!